The Happy Hour range is playful and eclectic. Its freestanding design can free up valuable counter space, while giving a modern and unique touch to any bathroom interior. 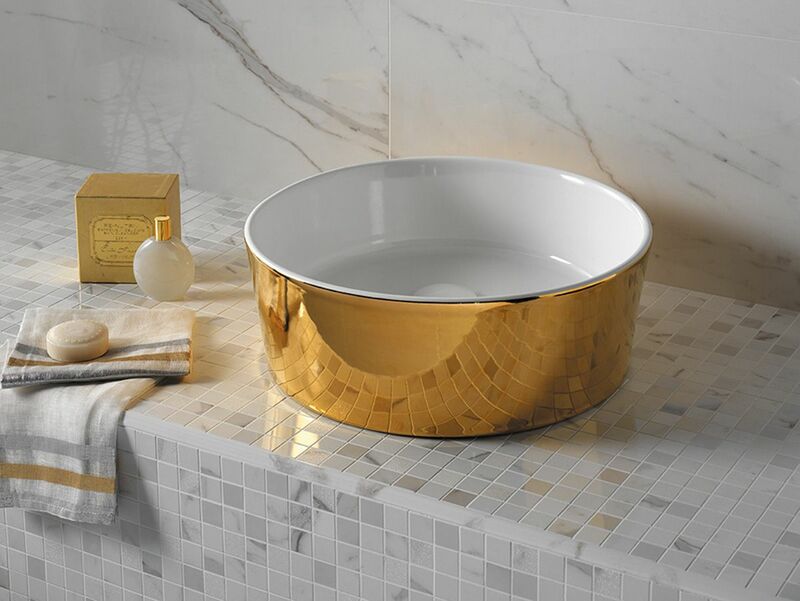 This beautiful selection of premium countertop basins makes every hour of the day luminous and precious. The Happy Hour 07:00 collection is further enriched with the creation of the Trilogy Gold Edition 24k. 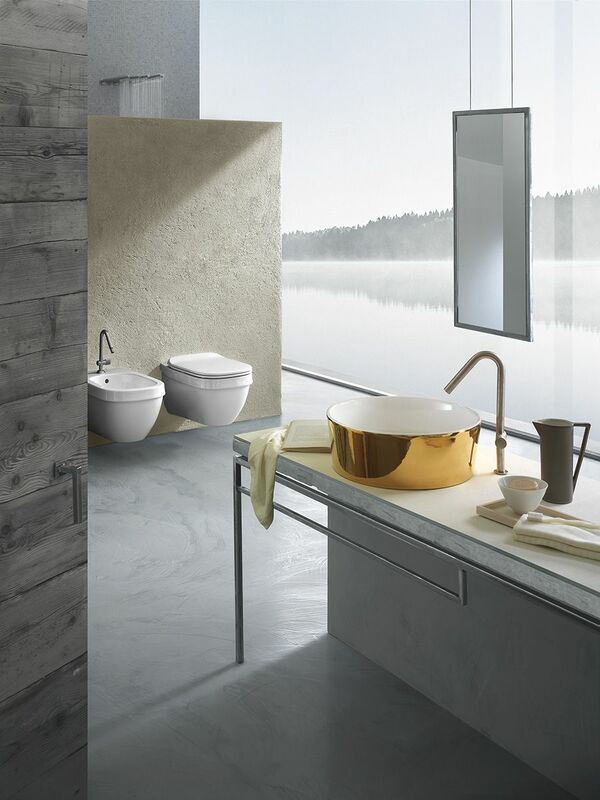 You can be assured of quality, when you choose ceramic products made by leading Italian design house Hatria. Proudly handpicked and distributed by Michel Cesar so you know you're buying only the best in Basin & Tops, Toilets & Bidets.